When you reflect back on your life, there are always those stand-out memories that hold a soft spot in your heart and mind. For me, there was a time period known as the Peugeot years – more specifically, my first car: the Peugeot 404. The innocuous beginning, unbeknownst to us at the time, forged a strong bond between our family and a consumer brand. Late summer 1969, our family had just moved to Southern California. We found ourselves at a car dealership in Long Beach; it was right next to an airport. I don’t think any of us had ever heard of this car company before, but the salesperson kept saying that it was the second safest car in the world, next to Mercedes. It was called Peugeot. I remember the day that my parents bought the car. They were doing the sales/negotiating thing somewhere, while my brother, sister and I were playing around in the back of one of the station wagons in the showroom. My parents chose the test drive model. Back then, there was a little discount for the tester - unlike today, where all models on the lot can be test driven. The car was a light blue, four door sedan with “leatherette” upholstery. “Leatherette” is a soft material that looks a little like leather but feels a little like plastic. The car boasted such luxury features as seat belts with front shoulder belts, a retractable sunroof and child safety rear door locks. There was no air conditioning, the windows were hand cranked and the front seats reclined fully into little beds. The novelty of the car was that there were a couple of controls that were ‘backwards’ in comparison to all other cars: the turn signal lever was on the right, and the door locks locked in the up position and un-locked in the down position. Did I mention that it had a brand new AM radio? This was my Mom’s car, and she used it to drive us everywhere. She took us shopping, to parties, miniature golfing and even to drive-in movies. One day, on the way back from a dentist appointment, the streets were flooded from heavy rains. As we crossed an intersection to get on the freeway, the engine got wet and stalled. We were stranded there for a while until the spark plugs dried out enough for the car to start again. When I got older, I learned to drive in this car. It finally got handed down to me, and became my pride and joy. As a ‘tech leaning guy’, I upgraded the AM radio to a real stereo – an AM/FM radio with cassette player. That stereo ate my cassette tapes so many times that I got very good at digging out the neatly accordion folded audio tape out of the unit with pens, pencils and paperclips. Over time, I made more audio upgrades. I also learned about the engine and all of the mechanical parts. I knew the car backwards and forwards. The parts managers at all the local Peugeot dealerships knew me by name. I changed the brakes, the battery, the radiator and the tires. I rebuilt the engine by myself. I converted the ignition system to electronic ignition from the standard points and condenser variety. I even tried to paint the car once; yeah, that one didn’t go too well. I ended up taking the car to a professional body shop to undo the mess that I made. Yes, I sure had some good times with that car. I always carried my tools with me in the trunk, along with a gallon of coolant, some oil and some spare spark plugs. To this day, I can point out various points of interest where the car broke down and needed some TLC to get it running again. There was that trip to Las Vegas, where my accelerator cable snapped off at the Kenwood exit on the 15. There was the time when it overheated on the way to one of my Dad’s hydroponic tomato greenhouses in Perris, CA. And how can I forget the time that I was driving a business associate to LAX on the 405, when it just died on the side of the freeway. That one was a little embarrassing. How convenient it would have been if Uber had been around back then. Oh well, I can laugh about all those memories now. For junior prom, I wanted to do something special for my evening out. My mother and I came up with a plan to put some seat covers on the front seats. It’s not that I had anything against the leatherette upholstery; I just thought that we might be able to do a little better. We scoured a fabric store until we came across a nice blue material. It was royal blue fur that contrasted the car’s light blue perfectly. My mother measured and sewed together the seat covers, and we installed them together. They were beautiful. I was so proud of the new look that I could hardly contain myself. It was my daily driving car, my cruising car and my date car. I’ll probably never really know what the few girls I dated actually thought of the car. I suppose there might have been some light amusement when I had to jump start the car under the hood with a small cable attached to the starter. We’ll never know for sure, but I like to think that it added to the charm of the Peugeot experience. I had high hopes for the car, as any young enthusiast might. Someday, I thought, I would convert the brakes to four-wheel disc brakes. I also fantasized about putting in a new engine to give it more power. Yes, electric windows and door locks would be nice too. And a better paint job with some better body work, to bring it back to the classic condition that it deserved. Dreams die hard, but I held on for a long time. My car moved with our family three times. It sat in our garages and even at my in-law’s garage for a time. I stored many of the old parts, various tools and old electronic gizmos in the back seat and trunk. Occasionally I would roll the car out into the driveway to give it a wash. On fewer occasions, I would charge the battery and try to start the engine with sporadic success. Near the end, as I began to see through the cloud of uncertain restoration, I hesitantly admitted to myself that the future was grim for my blue Peugeot 404. I spent some time preparing to get the engine started again. The brakes were frozen, and the transmission didn’t seem to be much in the mood to engage in any gear. I persisted and tinkered for a while, and finally coaxed a little life out of my old friend. Seizing the moment, I had my two young daughters get into the front seat and I drove them in a quick circle around our little cul-de-sac. After all of the years seeing this broken-down car in our various garages, It meant so much to me to be able to take them for a spin (albeit a short spin) and share a little of the nostalgia that I had for my car with them. Still, I had to take care of some unfinished business. I searched for a salvage yard that would be the final resting place for my family’s car. After a considerable time looking, I ran across a place that had a picture of a Peugeot 404 on their website. That photo was the sign of permission that I needed. I made an appointment for them to pick up the car. I lovingly cleaned it inside and out, and put all of the spare parts in the trunk. I parked the car in our driveway and took some last pictures for posterity. The next day after leaving for work, I knew that when I returned home, my car would be gone forever. Later, the empty garage would be eerily vacant. There was a small oil stain on the floor, above where the engine used to rest. Your could see four light spots where the varying stages of flat tires had wearily held up the car's body. My first automotive love had left the building. To some, it may have just been an old car. But to me, it provided a strong emotional reference point to my parents and the fond memories I had as a growing teenage dreamer. As an adult, I had to confront the bittersweet conclusion that some things weren't meant to be. We had great times together. Now the only physical evidence of the car is saved a small box, somewhere in our garage. It's a little piece of the blue fur from the car. It's not much, but for now it's enough. I saved a worm recently. I know, it's no big deal. 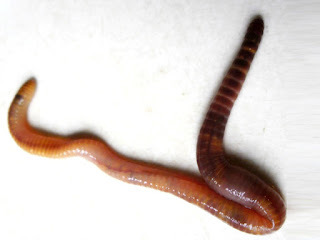 Most people don't care and many others find the very thought of worms disgusting. Does a worm have any value anyway? When I really think about it, I may not have actually saved the worm's life; I may have just prolonged it. I'll never know, because I'm never going to see that little worm again. Would I even recognize it if I did? I was taking my afternoon walk, listening to music through my headphones. On the sidewalk, I saw some movement in front of me. It was a little worm, wriggling on the hot cement. Clearly, it had no chance to survive. It was on it's way to being cooked alive. I stopped, quickly surveyed the situation and came to a decision. I grabbed a small leaf on the ground, scooped up the worm and placed in on the grass, where it began to slither down (presumably) to the dirt. I can almost imagine the cooling sensation of the blades of grass that the worm might have felt if it has any semblance of consciousness. It's not the kind of thing that I would bother to tell anybody. It's just a worm - for crying out loud. The karmic repercussions can't amount to much, if those kind of things are based on gross weight. I only mention it here because as I have grown older, I have a higher regard for life, no matter where it presents itself. After all, can anyone deny that the spark of life necessary for humans is any different than the miracle of life for any other living organism? No matter how small, no matter what feelings or fears one might have for snakes, ants or snails - life is still a random gift that is rarer than most people would care to admit. I’m not a big TV watcher anymore, but I do have a short list of titles that I watch on a regular basis. You know, as you get older, you don’t always pay so much attention to all the commercials anymore. I’ve noticed that recently, there are quite a few pharmaceutical advertisements airing. And, the content of these ads is difficult to understand. I find it more fun to watch them without sound, and try to guess what kind of ailment they are designed to treat. The names of these medications are difficult to pronounce, because they have a lot of J’s, X’s, Y’s and Z’s. It’s so much easier to just describe the commercial to your doctor when requesting a specific medication. For example, “Oh, doctor, I’d like to try a new medicine that just came on the market. I can’t remember the name of it, but when I’m out on a date night with my wife, it’s supposed to make her laugh a little harder at my jokes. Do you know that one? It’s the one that had some side effects like dry mouth, projectile vomiting and in some rare cases, sudden unexplained death. There was another one I wanted to try out. It makes listening to music more enjoyable when played on a vintage record player. The side effects of that one were halitosis, diarrhea and a possible outbreak of rashes all over the body. And there was a commercial for a drug that will make you a better fisherman. It had some weird name, but I clearly remember that the side effects were only temporary paralysis of one side of the body, spikes of high blood pressure and blurred vision. One medicine boasted making your dog more affectionate toward you, when you sit on a recliner. But you can’t take that one if you have high blood pressure, erectile dysfunction or sleep apnea. It might have been my imagination, but I seem to recall a theme park funded medicine called Minnestra™ that gives you the patience to enjoy yourself more while at the theme park – even with larger than normal crowds. The only visible side effects of this one were sweaty palms and an uncontrollable urge to buy cotton candy, churros and souvenirs. There was even one that helped raise your bowling average while using a hexagonal bowling ball. Afterwards, the bowler rode home on a bike with square wheels. This one didn’t appeal to me, though, because I can already bowl well with a traditional round ball, and think that the bumpy ride on the bike might aggravate a past back injury. 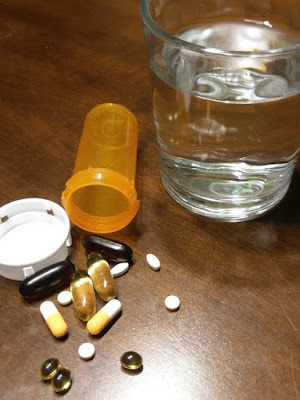 There are so many aspects of my life that I’d like to improve upon and the future looks much rosier now, since the formulation of many new types of drugs. I didn’t always feel this way, but I might be willing to suffer an occasional seizure if it would allow me to fold my clothes a little more professionally. And I’ve never really had a strong desire to hang out by the lake with my family, but if a little male pattern baldness would make that scenario more appealing, I might be willing to try that new green pill. What I’d really like to see on the market is a small round pill that makes the pharma ads easier to decode. Or maybe the big pharma companies could save their money with the FDA approval on that, and just make better commercials that make more sense. Or, and I’m just thinking out loud here, maybe they could stop the ads and work on cures for some of the yet unsolved illnesses. I mean, aren’t there already enough medications on the market that make people want to mow their lawn? What’s better than a massage on Mother’s Day? Well, for my wife, shopping at a thrift store is better. I went along for the ride and noticed that there was a little hole-in-the-wall massage parlor in the adjoining strip mall. 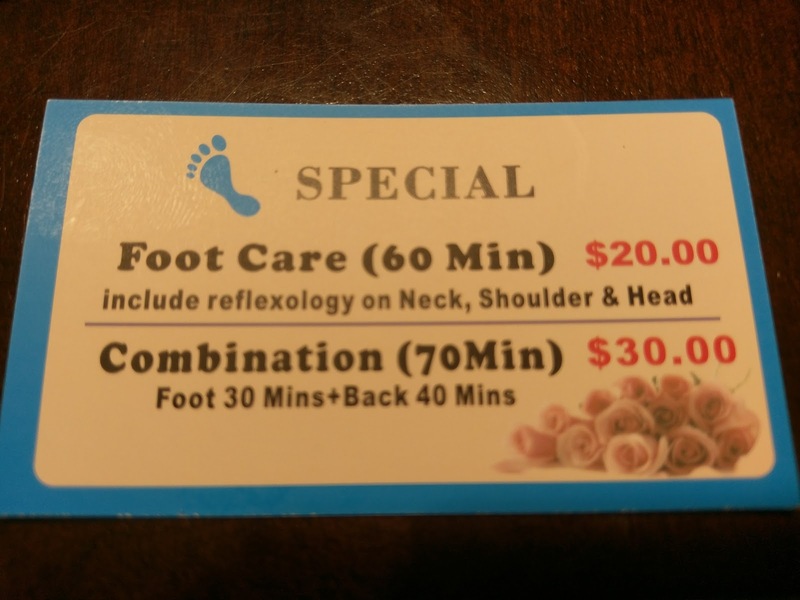 It advertised $20.00 for a one hour foot massage. Being the inquisitive potential customer, I looked up the establishment on Yelp. There were some conflicting reviews, but the ‘between the lines’ message that I gleaned was that the place offered a good value and suggested that some reviewers went back for repeat business. It was clear that a $10.00 tip was highly recommended, but even so, $30.00 for an hour massage seemed a great perceived value. There are two schools of thought when it comes to massages: some people believe that a massage should be a relaxing, spa-like experience where your body is gently caressed while the air is filled with a hint of lavender or eucalyptus. 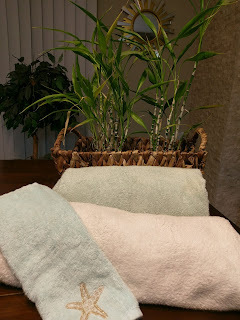 Others believe that a massage should be of the deep tissue type, where there may be brief moments of discomfort, and no amount of lavender or eucalyptus in the air will be enough to transform it into a truly pleasing experience. You might call this the “no pain, no gain” mentality. I’ve had foot massages before. My most memorable ones were during a trip to China. While there, I had one full body massage and a bunch of foot massages. The full body massage still remains fresh in my mind because of the painful scraping sensation on my back, and the irritation that I felt on my back following the session. An hour or so after I got back to my hotel room, I began to feel something similar to a sunburn. It persisted to the point where I felt compelled to look at my back in the mirror. I don’t know if it was more disbelief or horror, but my back no longer resembled ‘my back.’ It had more of the appearance of well, I don’t know, perhaps a strange piece of body art created by an out of control laser. You can see for yourself what it looked like in the following picture that I captured in the mirror of my room. It turns out that I had been given a coin massage, or Gua sha, and apparently there were a lot of bad demons or spirits in my back that had to escape. My foot massages in China were also memorable. I was put in the hands of a diminutive woman, whose strength was inversely proportionate to her size. Although extremely painful, it was one of those ‘hurts so good’ kinds of procedures where you almost feel more grateful that the massage is over than leave with a feeling of relaxation that the massage is supposed to generate. This little woman reached in the nooks and crannies of my feet in a way that suggested she had more familiarity with feet than do some podiatrists. This past Mother’s Day, I went in for a foot massage. I had the China experience in mind, but decided that I would keep an open mind and let the eucalyptus leaves fall where they may. From this point forward, I have to put the words “foot massage” in quotation marks, because what I got that day, didn’t so much resemble a straight forward foot massage as it did an exercise in exploring my threshold of pain (which is high), but even I have my limits. Afterwards, I was left in a daze for a few hours as I tried to comprehend what had just been done to my body. Just a week earlier, I had told my foot doctor not to push so hard on my heel (I have plantar fasciitis) because he had hurt me during my previous visit. I had thought about saying something to the masseuse about my right heel, but decided against it at the last minute and chose to take my chances. I admit, in retrospect, that sometimes my instincts are slightly off the mark. I was led into a cubicle with shoulder-high curtained borders and a massage bed in the middle. The maître d’, if you will, motioned for me to put my stuff in a basket off to the side. What exactly to put in the basket was not clear, but I emptied my pockets and put in my socks. Should I have taken off my shirt/pants? Strange thoughts go through one’s mind before a massage, but I prefer to err on the side of caution. I remained fully clothed. After soaking my feet in tepid water, he began with my left foot. This was a good thing, because it would give me a sneak preview of what to expect when he got to my right, sore heel. I’m guessing that it’s not just me, but I am extremely ticklish when it comes to my feet. It’s hard for me to relax when I’m simultaneously squirming and trying not to laugh. He didn’t explore all of my foot as his Chinese counterpart did, but he covered the highlights and didn’t cause me any undue pain. The rest of the massage, I’ll admit was intense. I’m not ashamed to say that I wanted to start crying a few times. I’m convinced that he wanted to get my back to crack, like at a chiropractor’s office. I thought I felt some frustration on his part when he didn’t hear any popping noises, but that might just be me imagining things. There were times, when the masseuse touched on some pressure points I never knew existed. How did he find them, and why did he have to push so hard? The thought of being in an octagon for an MMA fight kept popping in my head. I’m convinced that if I were in a ring, I would have tapped out – a few times. Maybe the manhandling that I was subjected to was payback for not joining my wife at the thrift store – on Mother’s Day. Maybe the masseuse was trying to get me to tap out or cry, so he could put another notch on his belt. Or maybe, just maybe, I should have spoken up a little and kindly asked the guy to take it down a notch. I, of course, am going with the second option; but like I said earlier, my judgement is sometimes slightly off. Photos and Writing by Marchland. © 2013 Marchland. Site by Friendlier.